Latest Dynamics 365 Business Central news from Microsoft. What you missed. » Managerial » Latest Dynamics 365 Business Central news from Microsoft. What you missed. 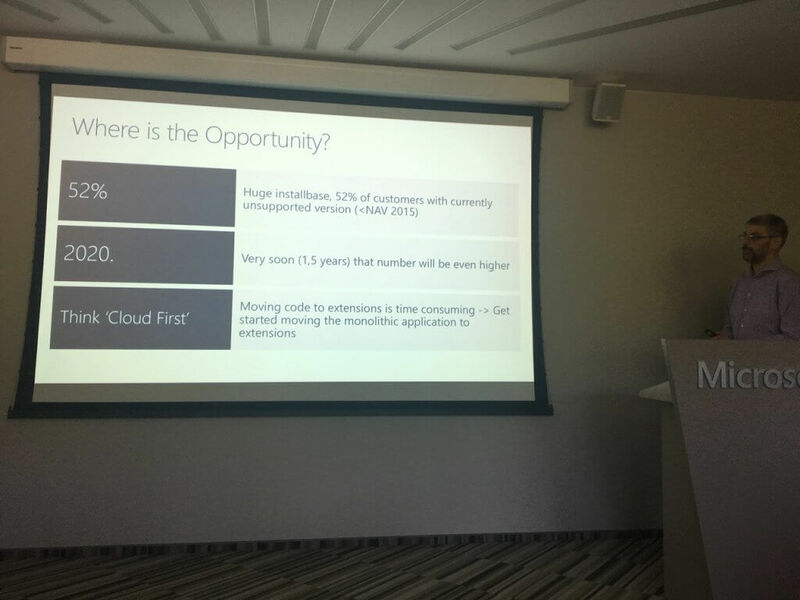 Simplanova team attended a workshop in Microsoft Lithuania office on May 24th in Vilnius, Lithuania. We would like to share the most interesting information we have heard about Microsoft Dynamics 365 Business Central. 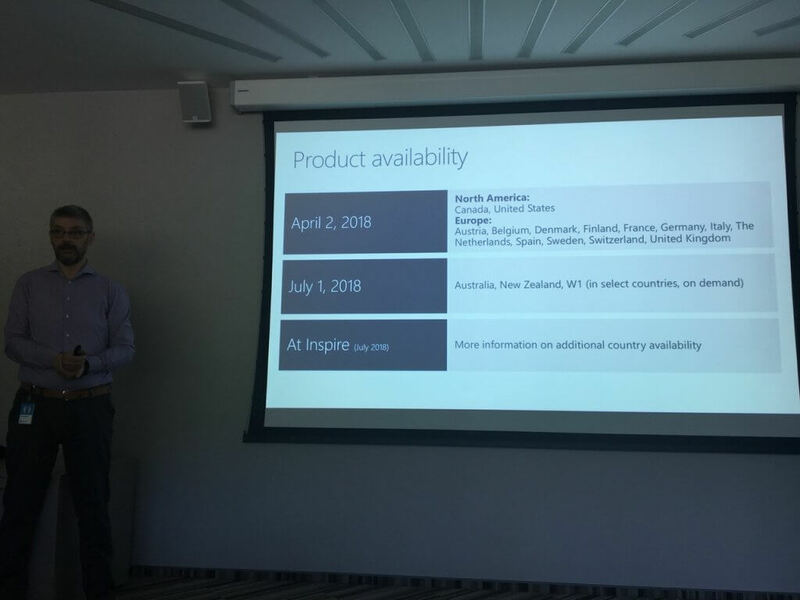 Dynamics 365 BC localization availability. Reports. Microsoft 365 Business Central will have less standard reports (300+). Other reports will be in PowerBI which will be available for D365BC users for FREE. Licensing. There will be three different licensing options: cloud (available from April 2nd, 2018), on-premise and hosted. Microsoft will be offering a Dynamics 365 Business Central hosted in a private cloud on Azure. Licensing conditions of privately hosted version will be different than the on-premise version. What’s more: cloud version will have more features, especially in integrations, than the on-premise version. A lot more details were promissed to be presented in Microsoft Inspire partner event on July 15-19 this summer in Las Vegas, USA. Do not miss it! Simplanova team will be there, so we would be happy to meet. W1 version availability. W1 version of D365BC cloud will be released on the 1st of July, 2018 and will be available on demand only. What does that mean for you? Only a selected number of countries will be able to use W1 version. Microsoft will release Worldwide version in waves for other countries, which are not on the list (see image above). If you’re not on the list – be patient or go to Microsoft with a business case. User Discounts. Users will be offered a 40% discount for NAV transition to Dynamics 365 BC. Unsuported NAV version users. 52% of all NAV users from total customer base are still using older versions than 2015. These numbers will be higher very soon because in 2020 NAV 2015 will not be supported. WEB service. Everything what is published as web service in Dynamics 365 BC is available in CDS (Common Data Service). WEB client personalization. Choose, move, add fields to page, resize and etc. all personalization process is intuitive and easy to make. You can read more about GDPR, NAV Data Encryption in Roberto Stefanetti NAV Blog here. Image analyzer. If you attach images to the contact card, system automatically detects the age and gender of the contact. This feature can be enabled by downloading Image Analyzer from app source for FREE. If you run Image Analyzer in Items, it can recognize item category, type or condition. Cortana intelligence as Azure machine learning. Microsoft is trying to use artificial intelligence in Dynamics 365 BC also. For example system can predict cash flow information from previous (historical) data. How to configure Cash flow machine learning? Open cash flow setup. Choose Cortana Intelligence and put API url. How to get API URL? Open Cortana Intelligence gallery – open the studio – press run – deploy the web service – then copy API url you need. You can use Azure Machine learning gallery to create your own Machine Learning model for predictions. Preconfigured excel reports. Now there are only 7 available excel reports in Dynamics 365 BC. Report preview is now available in Dynamics 365 BC with copy, download, print features. Visual Studio and App – Designer. When you save your extension in Dynamics 365 BC you can download the source file and it opens in Visual Studio. You can continue developing it. Visual Studio and App – Designer are connected, for example you can use Visual Studio code and preview what you did in App Designer or vise versus. Number ranges to create extensions in Dynamics 365 BC. We are sharing this table from Kauffmann blog. Simplanova is specializing in Dynamics NAV upgrades and offers full service of customizations migration to Extensions or Dynamics NAV Extensions Training Course. If you have the NAV Upgrade project with constant migration to Extensions, fill-in the form below and we will provide you with a full solution for upgrading to Dynamics 365 Business Central.